On the surface, “The Patriot Act” seems like yet another attempt at a talk show. So what makes “The Patriot Act” stand out? For starters, the very first episode targeted a lawsuit led by Asian Americans against Harvard. The second one spoke about Saudi Arabia’s crown prince and Jamal Khasshogi’s death, which led to the episode being removed in Saudi Arabia. Clearly, Hasan Minhaj is not afraid to speak his mind. It’s not like he’s spewing biased statements about sensitive topics. He uses statements from reporters, videos from the people in question and stats that are all flashed on the screen behind him. And he presents all of this in a 20-minute episode packed with comedy, pop culture references and sobering information. If it weren’t for the comedy, “The Patriot Act” could easily fall into the trap of being a pseudo-news program which no one would really pay attention to. 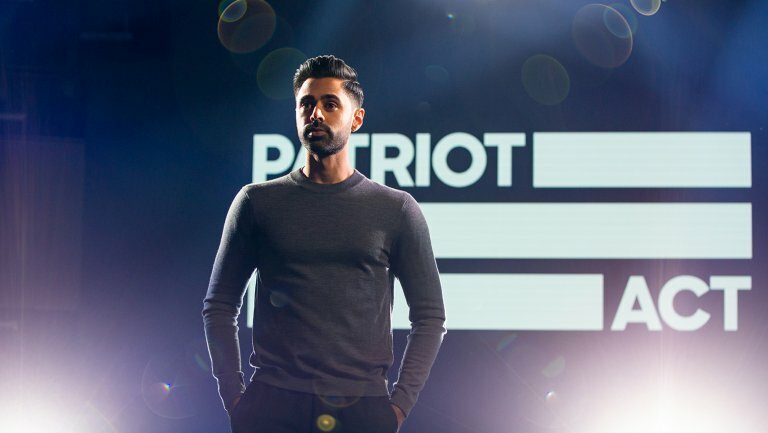 Given his background as an Indian-American and a Muslim, Minhaj offers a unique perspective rarely seen on any talk show, let alone cable television. He speaks about issues like anti-blackness and religious discrimination with a frankness that can only stem from personal experiences. You will not see any other political comedy show celebrate and criticize Asian-Americans the way Minhaj does. Frankly speaking, “The Patriot Act” is exactly what we need on a global platform like Netflix.